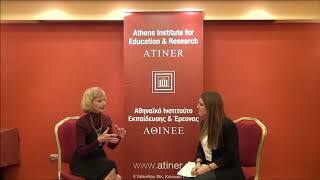 The Athens Institute for Education and Research hosted its 12th Annual International Conference on Global Studies: Business, Economic, Political, Social and Cultural Aspects 20-23 December 2018, Athens, Greece The program of the conference is available on ATINER’s website. The Athens Institute for Education and Research hosted its conferences and symposia of the third week of July 2018 in the following fields: Law; Agricultural Research; Ecology, Ecosystems & Climate Change; Water; and Animal Science & Zoology. 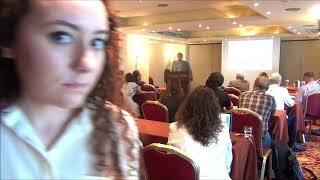 The events took place on Monday 16 July 2018 and Tuesday 17 July 2018 at the Titania Hotel, 52 Panepistimiou Avenue, Athens, Greece. The opening address and welcoming remarks were given by Dr. Gregory T. Papanikos, President. 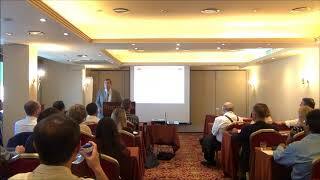 During the two days of the conferences, 68 papers were presented, authored by nearly 150 researchers coming from 33 different countries (Albania, Algeria, Australia, Brazil, Canada, China, Costa Rica, Croatia, Czech Republic, Egypt, France, Greece, Haiti, Hong Kong, Hungary, Iran, Iraq, Israel, Italy, Japan, Kuwait, Lithuania, Mexico, Montenegro, Poland, Romania, Russia, South Africa, South Korea, Sweden, Turkey, UK and USA). A special Symposium Discussion took place on Monday 16 July 2018, in the afternoon, on the Future of Teaching and Researching in a Global World, chaired by Dr. Gregory T. Papanikos, President, ATINER. The programs and more information on the aforementioned events are available on ATINER’s website. The Athens Institute for Education and Research hosted its conferences and symposia of the second week of July 2018 in the following fields: Finance; Accounting; Languages & Linguistics; Architecture; and Higher Education in a Global World. 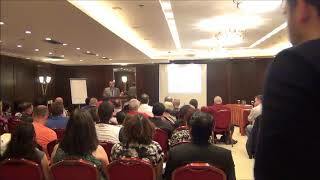 The events took place on Monday 9 July 2018 and Tuesday 10 July 2018 at the Titania Hotel, 52 Panepistimiou Avenue, Athens, Greece. The opening address and welcoming remarks were given by Dr. Gregory T. Papanikos, President, ATINER and Dr. Nicholas Pappas, Vice President of Academic Membership, ATINER & Professor of History, Sam Houston State University, USA. During the two days of the conferences, 158 papers were presented, authored by more than 230 researchers coming from 43 different countries (Australia, Brazil, Bulgaria, Canada, Chile, China, Colombia, Cyprus, Denmark, Egypt, Finland, France, Georgia, Germany, Hong Kong, Hungary, India, Indonesia, Ireland, Israel, Italy, Japan, Jordan, Lebanon, Luxembourg, Montenegro, Morocco, Norway, Poland, Portugal, Russia, Saudi Arabia, Serbia, South Africa, South Korea, Spain, Sri Lanka, Taiwan, Thailand, Turkey, UAE, UK and USA). 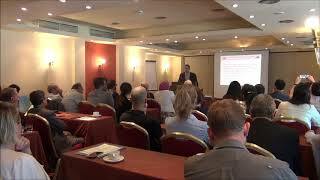 The Athens Institute for Education and Research hosted its conferences and symposia of the first week of July 2018 in the following fields: Management; Marketing; History & Archaeology: From Ancient to Modern; Economic Theory, Policy & Applications; Statistics: Teaching, Theory & Applications; Mathematics: Teaching, Theory & Applications; and Turkey & Turkish Studies. 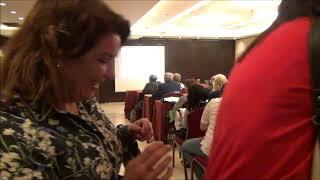 The events took place on Monday 2 July 2018 and Tuesday 3 July 2018 at the Titania Hotel, 52 Panepistimiou Avenue, Athens, Greece. The opening address and welcoming remarks were given by Dr. Gregory T. Papanikos, President, ATINER and Dr. Nicholas Pappas, Vice President of Academic Membership, ATINER & Professor of History, Sam Houston State University, USA. 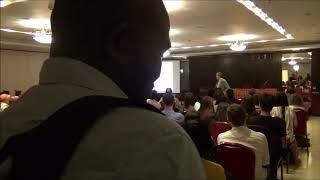 During the two days of the conferences, 113 papers were presented, authored by nearly 200 researchers coming from 38 different countries (Australia, Austria, Botswana, Brazil, Canada, China, Colombia, Egypt, Ethiopia, France, FYROM, Germany, Ghana, Greece, India, Ireland, Italy, Japan, Jordan, Kuwait, Lebanon, Lithuania, Mexico, Peru, Portugal, Romania, Serbia, South Africa, South Korea, Spain, Switzerland, Taiwan, Thailand, Turkey, UAE, UK, Uruguay and USA). A special Symposium Discussion took place on Monday 2 July 2018, in the afternoon, on Publishing and Researching for Professional Academic Development, chaired by Dr. Gregory T. Papanikos, President, ATINER. The programs and more information on the aforementioned events are available on ATINER’s website. The Athens Institute for Education and Research hosted its conferences and symposia of the last week of June 2018 in the following fields: Health Economics, Management & Policy; Engineering; Civil Engineering; Industrial, Systems & Design Engineering; Public Health; and Biology. 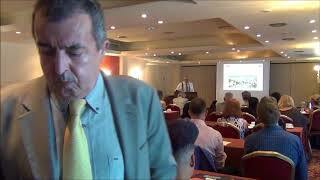 The events took place on Monday 25 June 2018 and Tuesday 26 June 2018 at the Titania Hotel, 52 Panepistimiou Avenue, Athens, Greece. The opening address and welcoming remarks were given by Dr. Gregory T. Papanikos, President, ATINER and Dr. Nicholas Pappas, Vice President of Academic Membership, ATINER & Professor of History, Sam Houston State University, USA. During the two days of the conferences, 91 papers were presented, authored by nearly 200 researchers coming from 39 different countries (Australia, Austria, Belgium, Canada, China, Croatia, Czech Republic, Egypt, Ethiopia, France, Germany, Greece, Hong Kong, Hungary, India, Iran, Iraq, Israel, Italy, Japan, Lebanon, Lithuania, Macau, Mexico, Pakistan, Poland, Portugal, Romania, Saudi Arabia, Singapore, South Africa, South Korea, Switzerland, Taiwan, Thailand, Turkey, UK, Uruguay and USA). A special Symposium Discussion took place on Monday 25 June 2018, in the afternoon, on The Future Developments and Prospects of Engineering and Science Education & Research in a Global World, chaired by Dr. Nicholas Pappas (Sam Houston University). The programs and more information on the aforementioned events are available on ATINER’s website. The Athens Institute for Education and Research hosted its conferences and symposia of the third week of June 2018 in the following fields: Politics; International Studies; Demography & Population Studies; and Anthropology. 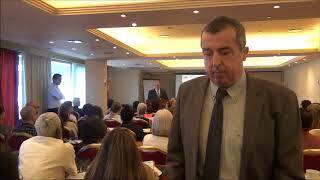 The events took place on Monday 18 June 2018 and Tuesday 19 June 2018 at the Titania Hotel, 52 Panepistimiou Avenue, Athens, Greece. The opening address and welcoming remarks were given by Dr. Gregory T. Papanikos, President, ATINER and Dr. Nicholas Pappas, Vice President of Academic Membership, ATINER & Professor of History, Sam Houston State University, USA. During the two days of the conferences, 45 papers were presented, authored by nearly 60 researchers coming from 29 different countries (Brazil, Bulgaria, Canada, Chile, China, Colombia, Denmark, Egypt, Germany, Iraq, Israel, Italy, Japan, Kosovo, Norway, Poland, Portugal, Romania, Russia, Saudi Arabia, Singapore, South Africa, Spain, Switzerland, The Netherlands, Turkey, UK, USA and Vietnam). A special Symposium Discussion took place on Monday 18 June 2018, in the afternoon, on The International World Order: Political, Demographic and Anthropological Characteristics, chaired by Dr. Nicholas Pappas (Sam Houston University). The programs and more information on the aforementioned events are available on ATINER’s website. The Athens Institute for Education and Research hosted its conferences and symposia of the second week of June 2018 in the following fields: Tourism; Visual & Performing Arts; and Culture & Civilization. 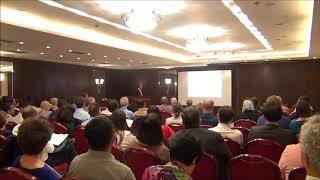 The events took place on Monday 11 June 2018 and Tuesday 12 June 2018 at the Titania Hotel, 52 Panepistimiou Avenue, Athens, Greece. The opening address and welcoming remarks were given by Dr. Gregory T. Papanikos, President, ATINER and Dr. Nicholas Pappas, Vice President of Academic Membership, ATINER & Professor of History, Sam Houston State University, USA. During the two days of the conferences, 62 papers were presented, authored by nearly 80 researchers coming from 22 different countries (Australia, Austria, China, Egypt, France, Germany, Hong Kong, India, Iran, Ireland, Norway, Poland, Portugal, Russia, Singapore, South Korea, Spain, Sri Lanka, Turkey, UAE, UK and USA). A special Symposium Discussion took place on Monday 11 June 2018, in the afternoon, on Teaching Arts & Culture in a Global World, chaired by Dr. Stephen Andrew Arbury (Radford University). The programs and more information on the aforementioned events are available on ATINER’s website. The Athens Institute for Education and Research hosted its conferences and symposia of the first week of June 2018 in the following fields: Literature; Urban Studies & Planning; Geology & Earth Science; Geography; Transportation; Engineering Education & Teaching; and Classical & Byzantine Studies. 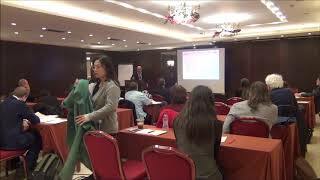 The events took place on Monday 4 June 2018 and Tuesday 5 June 2018 at the Titania Hotel, 52 Panepistimiou Avenue, Athens, Greece. The opening address and welcoming remarks were given by Dr. Gregory T. Papanikos, President, ATINER and Dr. Nicholas Pappas, Vice President of Academic Membership, ATINER & Professor of History, Sam Houston State University, USA. During the two days of the conferences, 94 papers were presented, authored by more than 150 researchers coming from 33 different countries (Belgium, Brazil, Chile, China, Colombia, Croatia, Czech Republic, France, Germany, Greece, Hungary, India, Indonesia, Iran, Italy, Jordan, Lebanon, Mexico, New Zealand, Pakistan, Philippines, Poland, Romania, South Africa, South Korea, Spain, Taiwan, Thailand, The Netherlands, Turkey, Uganda, UK and USA). 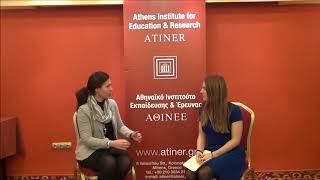 The Athens Institute for Education and Research hosted its conferences of the third week of May 2018 in the following fields: Education; Information Technology & Computer Science. 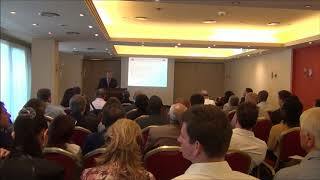 The events took place on Monday 21 May 2018 and Tuesday 22 May 2018 at the Titania Hotel, 52 Panepistimiou Avenue, Athens, Greece. The opening address and welcoming remarks were given by Dr. Gregory T. Papanikos, President, ATINER and Dr. Nicholas Pappas, Vice President of Academic Membership, ATINER & Professor of History, Sam Houston State University, USA. During the two days of the conferences, 132 papers were presented, authored by nearly 200 researchers coming from 33 different countries (Albania, Australia, Brazil, Canada, China, Colombia, Croatia, Finland, Germany, Ghana, Hong Kong, Hungary, Ireland, Israel, Italy, Japan, Mexico, Norway, Oman, Philippines, Poland, Portugal, Singapore, Slovenia, South Africa, Spain, Sweden, Switzerland, The Netherlands, Turkey, UAE, UK and USA). The programs and more information on the aforementioned events are available on ATINER’s website. 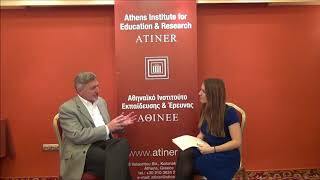 The Athens Institute for Education and Research hosted its conferences and symposia of the second week of May 2018 in the following fields: Sports: Economic, Management, Marketing & Social Aspects; Communication & Mass Media; Leisure & Recreation. 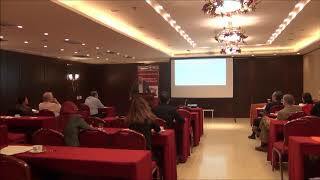 The events took place on Monday 14 May 2018 and Tuesday 15 May 2018 at the Titania Hotel, 52 Panepistimiou Avenue, Athens, Greece. The opening address and welcoming remarks were given by Dr. Gregory T. Papanikos, President, ATINER and Dr. Nicholas Pappas, Vice President of Academic Membership, ATINER & Professor of History, Sam Houston State University, USA. The Athens Institute for Education and Research hosted its conferences and symposia of the first week of May 2018 in the following fields: Health & Medical Sciences; Diabetes; Global Health; Nursing; Pharmaceutical Sciences; Sociology; Business, Law & Economics and Business Ethics. 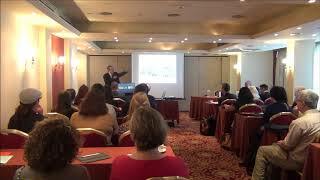 The events took place on Monday 7 May 2018 and Tuesday 8 May 2018 at the Titania Hotel, 52 Panepistimiou Avenue, Athens, Greece. The opening address and welcoming remarks were given by Dr. Gregory T. Papanikos, President, ATINER and Dr. Nicholas Pappas, Vice President of Academic Membership, ATINER & Professor of History, Sam Houston State University, USA. 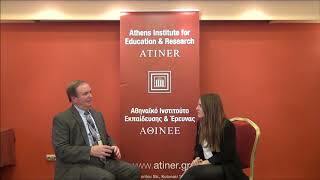 The Athens Institute for Education and Research hosted its 11th Annual International Conferences on Global Studies: Business, Economic, Political, Social and Cultural Aspects, sponsored by its five centers (https://www.atiner.gr/centers). 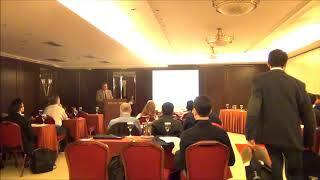 The conference took place 18-19 December 2017 in Athens, Greece. 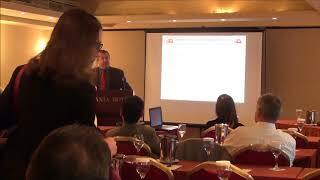 ATINER President, Dr Gregory T. Papanikos gave the welcoming remarks. During the two days of the conference, 44 scientific papers were presented by 58 academics and researchers from 28 different countries on five continents (Albania, Australia, Austria, Brazil, Canada, Colombia, Georgia, India, Iran, Iraq, Israel, Italy, Japan, Malaysia, Norway, Poland, Portugal, Romania, Saudi Arabia, Serbia, South Africa, South Korea, Spain, Taiwan, Turkey, UAE, UK and USA). The detailed conference program is available at: https://www.atiner.gr/2017/2017PRO-CBC.pdf.